1. 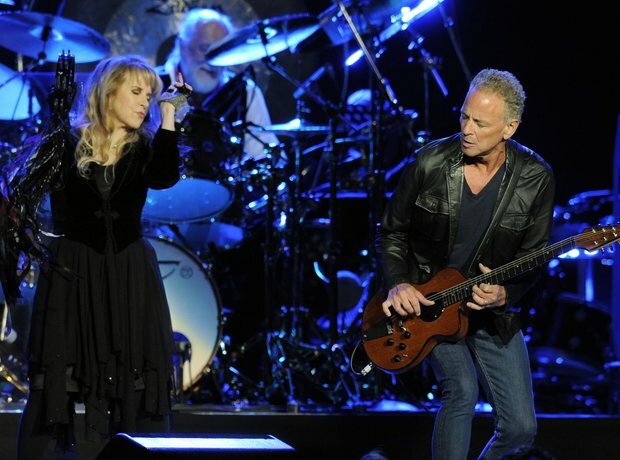 What band did Stevie Nicks and Lindsey Buckingham first play in together? Nicks and Buckingham met while they were both attending high school in San Francisco, where they started a band. 3. What was Christine McVie's maiden name before she married John McVie? She released her first solo album under her maiden name (Christine Perfect) in 1970. 5. Who wrote the words to the Fleetwood Mac song Albatross? 6. Sorry, trick question - Albatross was, of course, an instrumental! 7. Which band member wanted to donate all the bands earnings to charity? Apparently the rest of the band weren’t as keen! 9. What member of the medical profession became a Fleetwood Mac song? "Oh, they call me Doctor Brown, they call me that lovin' man, oh, they call me Doctor Brown, they call me that lovin' man..." - how many did you get right? Click 'next gallery' to see how Stevie Nicks' advice is for life!